Customer Reviews of Digital Scale, "HL series"
We purchased the same model a second time this time. It is a bit expensive, but you can rest assured that the product's content is sufficient. Although it is a digital display, it is easy to check the internal capacity and handle it easily because it can smoothly increase and decrease the product because it is a stable display without any numerical instability. This review is about item#6848186. I have used the same scale from before. Since it can measure up to 0.1 g, you can divide the quantity accurately. This review is about item#6848177. 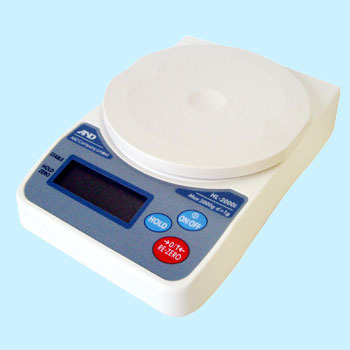 Although it is inexpensive, it has sufficient accuracy such as the reproducibility of the displayed weight. I have bought something cheaper than this, but since I was concerned about accuracy, I use it later. Even a small drop will break immediately so we use it as a consumable item. It is precise. If it is 0.1 grams, it will wander with the wind of the fan heater. For more precise Tenbin it puts it in a box and shuts out the airflow, but it will not go there. This review is about item#06848177.